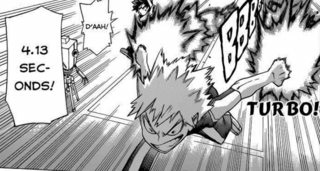 In My Hero Academia, we see several times Bakugo using his explosion quirk to lift himself to mid-air and fly to increase his speed. How much can he uses this technique to fly? Can he fly as much as he wants or is he limited to fly a few metres above the ground? I can't remember this being elaborated in the manga, but since it is very serious of the mechanics of the quirks, we can find out ourselves. I'll use this page as reference. 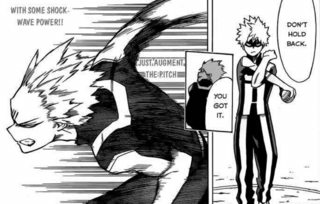 Katsuki's Quirk allows him to sweat nitroglycerin from his palms and detonate it at will to create explosions. These explosions, especially when used repeatedly in rapid succession, were actually shown to have a negative impact on Katsuki's arms. To actually fly and not just "jump" midair, he would need to navigate the explosions constantly, adjusting their strength and also needing a really big amount stored if he wants to fly long distances, which on the other hand he needs to carry. 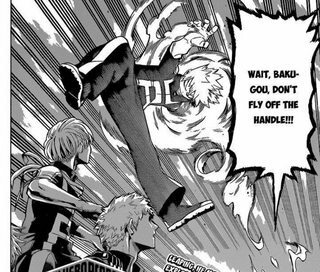 So if Bakugo wanted to fly, think of him as an Iron Man without repulsors in his shoes (allowing him only to navigate and accelerate/decelerate with the hands) on short fuel with every second of the repulsors being on taking a burden on his arms. Not really flying. 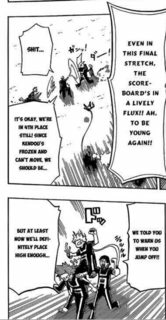 Tl;Dr Bakugo isn't flying at all. 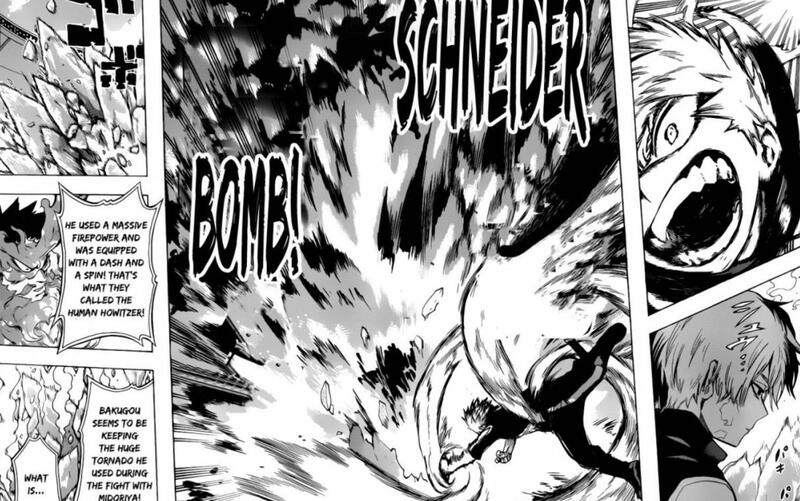 He is jumping and augmenting himself using his Explosion quirk. There is no actual flying involved, though he may seem to be floating (much like Midoriya) in the slowmos. We see him do the exact same thing multiple times throughout the anime/manga. He does this when he sent threw the baseball flying or the sprint/long jump in the Quick Apprehension Test. The main proof his "inability" to fly while jumping really high comes during the Sports Festival. Cero had to use tape to control his dissent. If he could maneuver himself, Cero wouldn't have needed to help.